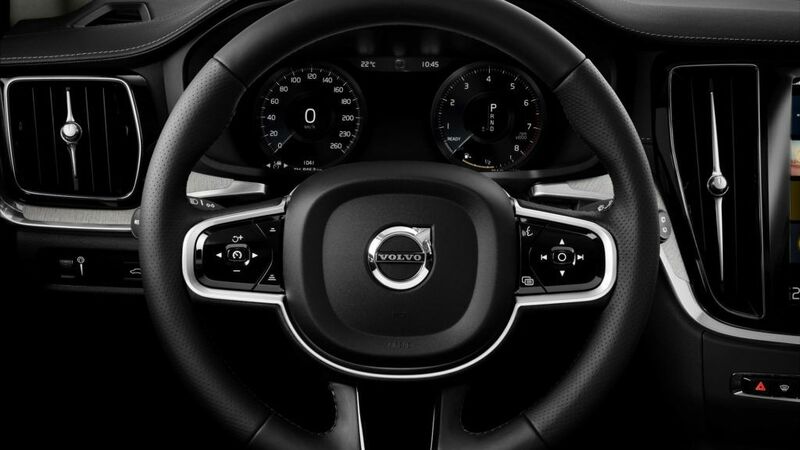 Volvo is on a roll at the moment, with every quarter showing yet another rise in sales here in the UK. This relentless march for dominance of the British premium car market isn’t surprising because Volvo builds some very good cars indeed. Good-looking ones, too. The Volvo V60 isn’t just the most beautiful estate car you can buy new today; I think it’s one of the most beautiful cars full-stop. 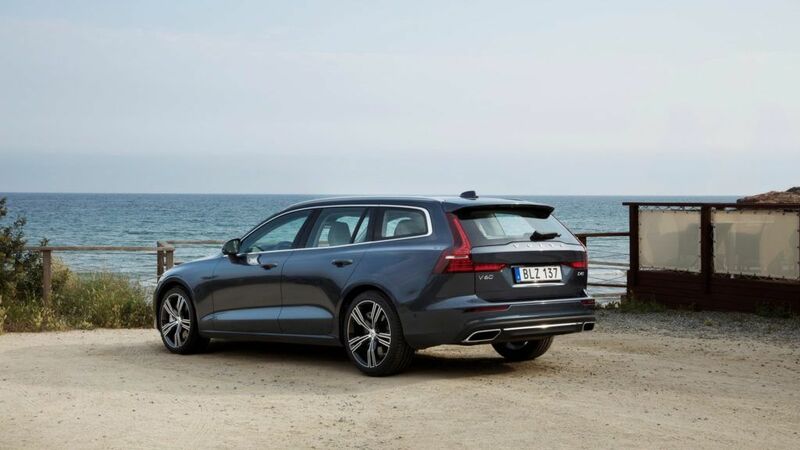 Whether it’s the chiselled and muscular front, the sculpted, lithe flanks, or the shapely rear end the V60 doesn’t have a single bad angle. And that matters because there’s no greater compliment than looking back at your car as you walk away – and I did that a lot during my week with the V60. The interior is equally attractive being simple, elegant and utterly free of clutter. And while this look inevitably meant a few compromises in some of the vehicle/driver interfaces (not least with the infuriating touchscreen infotainment system, which isn’t terribly logical or easy to master) the end result is pleasing to the eye – and I’m sure familiarity would help iron out some of the frustrations I felt when trying to change some of the settings. Speaking of which, as is usually the case with modern cars, the V60 drives best when it is set in the most sporting and dynamic setting. The trouble is – and it is not alone in this regard – it automatically defaults to the standard, stodgy Comfort setting when you turn the engine off. This is very annoying. As is the torque steer. The T5 I drove had 250bhp at its disposal, along with 350Nm of torque. As a result, the front wheels sometimes darted and snatched in as vivid a display of torque steer as I’ve encountered since the mid-nineties. Volvo quotes a time of 6.4 seconds to reach 60mph from a standstill – and a top speed of 145mph – but full-bore standing starts aren’t really its thing. It’s much better to feather the throttle and subdue the inner hooligan; driven in this way – and that doesn’t necessarily mean driving it sedately – the V60 is a very satisfying car, even if it is better suited to playing a soothing, rather than stimulating, role in your life. The Audi A5 I drove a few weeks before – never mind the Jaguar XE I drove afterwards – were much more exciting when I wanted to play, and just as soothing when I didn’t. This ever-so-slightly dull side to its nature makes its presence known in other areas, too. Driving along a road I know well, the automatic seat-belt pre-tensioning system kicked in as it clearly thought I was going to crash. I wasn’t, I’d just crested the brow of a hill and that momentary lightness triggered a slightly hysterical response. But, and this is going to sound like I’m being slightly snide, if you aren’t that keen on driving then the Volvo V60 is a fabulous car. It’s soothing and spacious, decently economical, quiet and utterly gorgeous to look at. My T5 Momentum Pro cost £42,895, fitted as it was with a little over £5,000-worth of optional extras. These included a retractable towbar, a premium Harman Kardon sound system, front parking assist and rear parking cameras, a spare wheel, a 12V power socket in the boot, and metallic paint. It was also fitted with Volvo’s Intellisafe Pro Pack. This costs £1,625 and adds Pilot Assist and Adaptive Cruise Control; this is a very useful and effective system that not only maintains a pre-determined speed but also steers the car within its lane at a speeds of up to 80mph. It only works on motorways and dual-carriageways but it is a major boon to safety by reducing driver stress. The same pack also adds Blind Spot Information System, Cross Traffic Alert, and Rear Collision Mitigation. I’m sure there must be a way to turn the latter off temporarily but I couldn’t find it and so couldn’t reverse out of a parking spot into the road because there was traffic coming the other way. The car kept jamming on the brakes despite it being safe for me to manoeuvre, forcing me to wait until nothing was coming even though the road was wide and I wasn’t even close to getting in anyone’s way. The V60 is also available as a Cross Country version. This has a 60mm higher ride height, some charcoal wheelarch extensions, and crucially, all-wheel-drive. 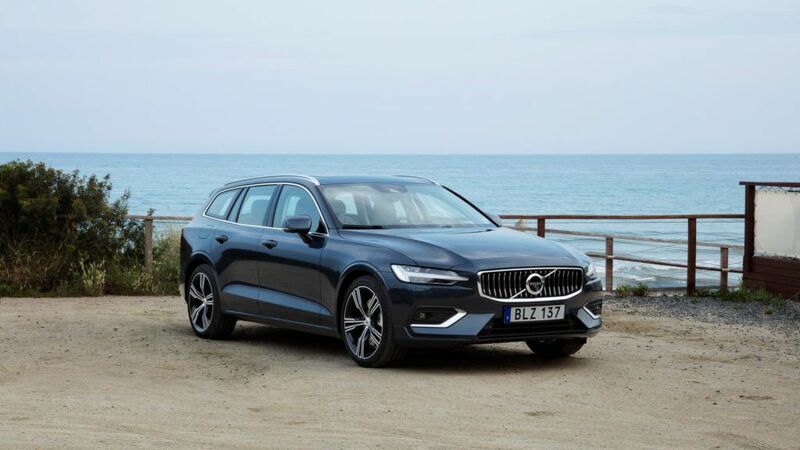 Thus equipped, the V60 would put its power done more effectively and the off-road accessories make it look – if such a thing is even possible – even better. Throw in a winter pack (£1,275 for heated seats, headlight washers, a heated front windscreen, and heated wiper blades) and you’d have a very fine, all-weather, multi-role car to explore the world in.